These guidelines provide recommendations for the preparation and display of food intended for sale at temporary food markets, including farmers’ markets. Take MarketSafe Online – New! MarketSafe is a food safety training program for farmers, food processors and producers who make, bake or grow products to sell at local farmers’ markets, farm gates or other types of temporary food markets. MarketSafe was developed by the BC FOODSAFE Secretariat in partnership with the BC Association of Farmers’ Markets, and is supported by the Regional Health Authorities, the BC Centre for Disease Control, and the BC Ministry of Agriculture and Lands. MarketSafe courses are facilitated by instructors who have been certified by the Regional Health Authorities. Participants who successfully complete the MarketSafe course will receive a recognized MarketSafe Certificate of Completion from the Health Authority in their area. This program was created to increase awareness and knowledge of food safety and safe food handling procedures for farmers’ market vendors, market managers, farm gate vendors, home kitchen small scale food processors, and others who may make, bake or produce food products for public consumption outside of regulated food service establishments. As well as trying to protect the general public, this education program will also help individuals who want to sell their wares become trusted and successful vendors. If there are no courses currently available in your area, please contact the BC FOODSAFE Secretariat for more information or find a course online. The FOODSAFE Program is a comprehensive food safety training program designed for the food service industry. It is an initiative of the Province of British Columbia and is developed and managed by the BC FOODSAFE Secretariat in partnership with the BC Centre for Disease Control, the BC Regional Health Authorities, the BC Restaurant and Food Services Association and WorkSafe BC. FOODSAFE courses are available face-to-face, online, and by correspondence, and are recognized throughout BC and across Canada as meeting the requirements for food safety training for food service industry workers. 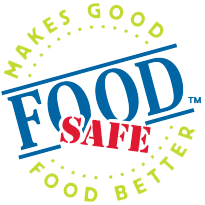 All FOODSAFE Level 1 certificates issued before July 29, 2013 in British Columbia will expire on July 29, 2018. For more information on recertifying, please click here. BC Good Agricultural Practices (GAP) Guide is intended to assist producers to implement food safety practices at the farm. It offers a whole-farm approach covering all aspects of crop and livestock production. The Food Safety Systems Implementation (Processor) Program provides assistance to farmers and other food processors entering the wholesale marketplace, to develop and implement food safety plans like GMP and/or HACCP. The program delivers educational workshops, one-on-one consultations, and offers funding to eligible processors to help cover some of the costs of implementing food safety plans. The FSSI (Processor) Program is offered as part of Growing Forward, a federal-provincial-territorial initiative. The program is managed in British Columbia by the Small Scale Food Processor Association.